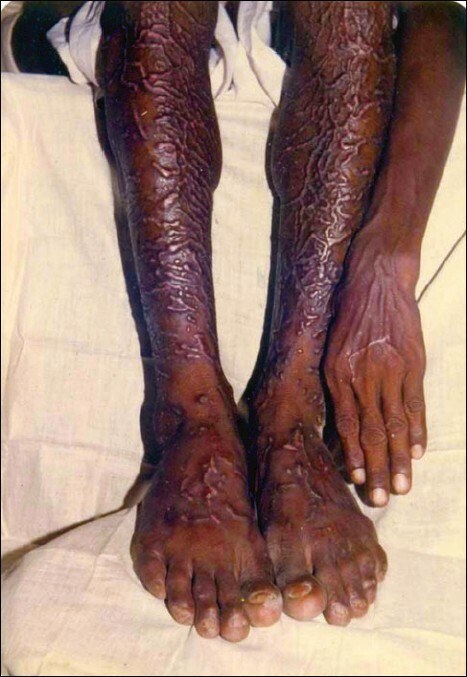 Nephrogenic systemic fibrosis, also known as nephrogenic fibrosing dermopathy, is a rare fibrosing disorder of skin and internal organs that occurs in the context of renal insufficiency, particularly in those who have undergone dialysis. It was first described in 1997 in the United States. The first non Western series was reported from Kolkata, India in 2005 the etiology is unknown. High-dose erythropoietin and use of gadolinium-containing contrast media are currently acknowledged to be important risk factors. The pathogenesis is multifactorial. The current hypothesis supports the role of circulating fibroblast precursors (fibrocytes) and the elaboration of circulating fibrogenic factors ( e.g., transforming growth factor beta 1). The clinical characteristics resemble scleromyxedema with a typical distribution pattern of its own. The histopathological hallmarks are spindle-shaped cells in the background of dermal fibrosis and deposition of collagen and mucin. Dual immunolabelling with CD34 and procollagen is diagnostic. There are no standard, specific and universally satisfactory treatments. The natural history is progressive with systemic manifestations conferring a poor outcome. Histopathology of tuberculosis and leprosy is expected to correlate with the clinical and gross pathological aspects of the disease. However, this may not be the case, particularly in tuberculosis. This reflects our inadequate interpretation of the cellular events in tissues. The advent of immunocytochemistry for finding the cell types in lesions and some of their functions have helped in the interpretation of these changes. Immunocytochemical studies using monoclonal antibodies have shown consistent relationship between histology and lymphocyte organization in leprosy, a related mycobacterial disease. The study of the patterns of cellular responses in the granuloma per se from the different clinical expressions of tuberculosis is essential to comprehend the different immunopathogenic mechanisms in each. CD stands for cluster designation and is a nomenclature for the identification of specific cell surface antigens defined as monoclonal antibodies. This procedure can be applied to both formalin-fixed and frozen tissues. It is very helpful in identifying subpopulations of T and B cell lymphocytes. CD3 T cell is marked by receptors for antigen recognition, while CD20 is meant for Pan B cells and dendritic cells. Since CMI is the preeminent immune response to the Mycobacterium tuberculosis infection, interaction of antigen-presenting cells with antigen specific B and T lymphocytes is of paramount importance, which should be accompanied by cytokine production and liberation. The present study is undertaken for evaluating the cell types in lesions of cutaneous tuberculosis and some of their functions using B and T cell markers. Background : Lichen planus (LP) is a common idiopathic, inflammatory disorder that affects the skin, mucous membranes, nails and hair. Clinical observations and anecdotal reports have suggested a relationship between the exposure to a number of exogenous agents and the development of LP. One of the most important suggested bacterial etiologies is Helicobacter pylori (HP), that is one of the most common bacterial infections in the world, which is also reported to be common in Iran. Objective : This study was performed to evaluate the relation between HP and LP. Materials and Methods: A case control study was conducted with 80 patients with LP to find out a previous history of HP and 80 patients with other skin diseases were examined with urea breath test (UBT) as controls. Results: Sixty-six patients with LP and 49 patients from the controls had positive UBT. There was a significant difference about UBT positive result between these two groups. Conclusion: According to study, these results support a definitive etiological role for HP in LP. 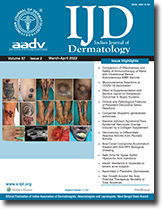 Background: Hyperpigmented keratotic lesions below the elbow and above the knee are common, but not yet described in the literature. Aim: To clinicopathologically analyze the lesions to find out their etiology, aggravating factors, associated diseases and histopathological features. Materials and Methods: Thirty patients having such lesions were subjected to detailed history-taking and clinical examination. A biopsy from the local area was performed in all the cases. The data obtained was statistically analyzed. Results: The commonest age group affected comprised of middle-aged females. In 50% cases, friction played an important role, and in the rest, no cause was found. Majority of patients had no other dermatological or systemic disorders. Nonspecific histopathologic changes were observed in 60%. Conclusion: Our study points towards the existence of an idiopathic hyperpigmentation around the elbow and knee that is common and not associated with any other skin disorder and is histologically nonspecific. 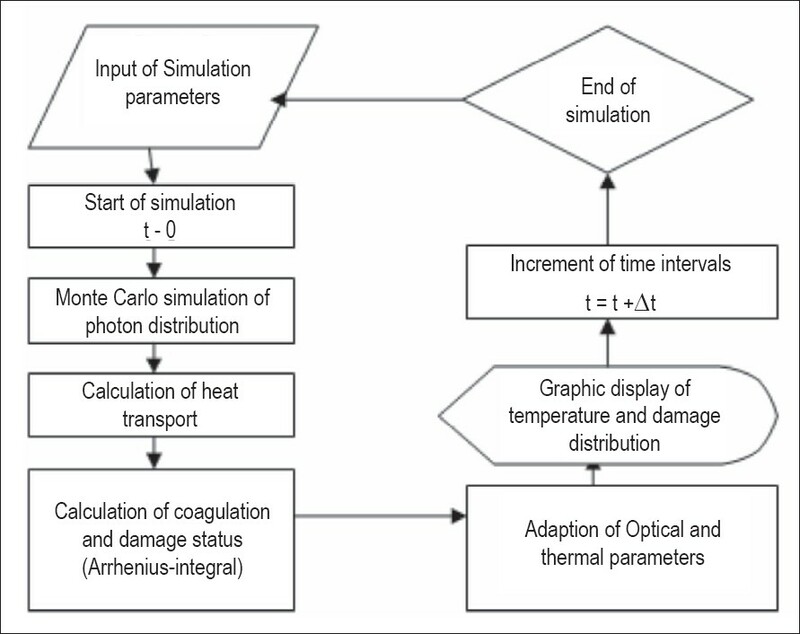 Background and Objectives : In this study, we evaluate LITCIT software for its application as a thermal simulation software for superficial hair removal laser systems. Materials and Methods: Two articles were used as our references. Complete information regarding the tissues, such as optical/thermal properties and geometrical modeling and also the laser systems such as wavelength, spot size, pulse duration and fluence were extracted from these texts. Then, this information regarding the tissues and systems was entered into the LITCIT simulation software. Further, we ran the program and saved the results. Finally, we compared our results with the results in references and evaluated the. Results : Output results of the LITCIT show that they are consistent with the results of references that were calculated with a different thermal modeling. Such a small average error shows the accuracy of the software for simulation and calculating the temperature. Conclusions : This simulating software has a good ability to be used as a treatment planning software for superficial lasers. 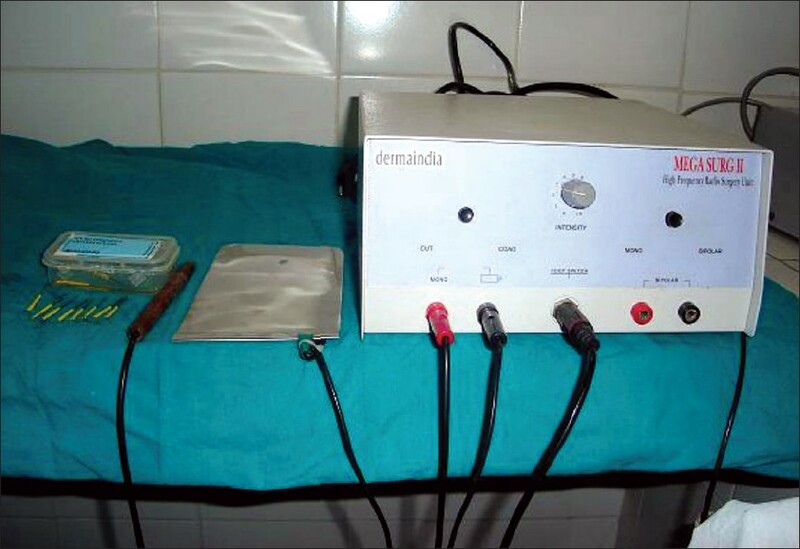 Thus, it can be used for the optimization of treatment parameters and protocols. Fissure feet are a common condition; however, no effective therapy is available to date. This study was undertaken to study the effect of occlusion using 2″ micropore tapes in the management of fissure soles. The study was an open-paired, controlled study and included 26 volunteers with fissure feet. Fissures were graded separately over the right and left soles. All the volunteers were advised to wash their feet in tap water, air dry for 5 min before going to bed. To increase the tackiness of the tape, tincture benzoin was first applied and allowed to dry. The volunteers were educated to apply a 2″ micropore tape over the fissures at night on the right sole. The left sole was not taped and served as a control. The tape was removed the next morning and the fresh tape was again reapplied at night. The volunteers were advised to immerse the feet in water at room temperature and then remove the tape. Results were assessed after 15 days. Mc Nemar's X2 test was performed to determine the statistical significance. P value < 0.05 was considered to be statistically significant. The right sole (study) and the left sole (control) constituted a pair. Out of the 26 matched pairs, in 16 pairs, the study site showed improvement and the control site did not show improvement. Seven pairs did not show improvement over both study and control sites. Three pairs showed improvement in both study and control sites. Mc Nemar X2 value was 14.06 ( P < 0.001). Occlusion therapy is effective in the treatment of fissure soles. Polyarteritis nodosa (PAN) is a medium-sized vessel vasculitis that usually occurs in 40-60 years of age. 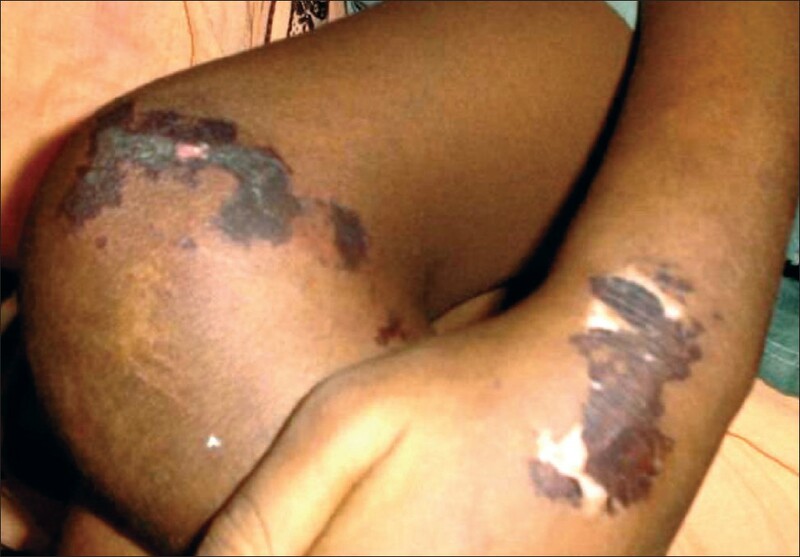 It is a rare multisystemic disease that is frequently associated with cutaneous manifestation. It rarely occurs in childhood. We herewith report a case of classic PAN in a 6-years-old boy with digital gangrene. Fournier's gangrene is the necrotizing fasciitis of the scrotum and the perineum. The treatment involves early recognition, aggressive resuscitation, radical debridement and appropriate antibiotics. Even though its association with varicella is known to occur in children, it is found to be uncommon in adults. 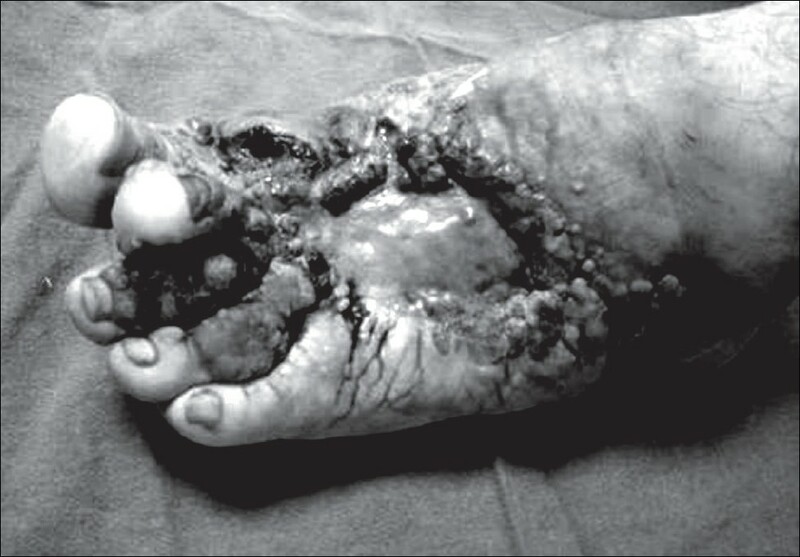 We present our findings and review literature regarding the associations, clinical presentations and management of Fournier's gangrene. Syringomas are benign appendageal tumors of the eccrine sweat glands which are more common in women over the extragenital sites like the periorbital, cervical and axillary areas and the chest. Vulvar syringomas although not rare, are reported uncommonly perhaps owing to a missed diagnosis. Vulvar Syringomas are remarkable for pruritus. A case of multiple vulvar syringomas is reported in an Indian female. 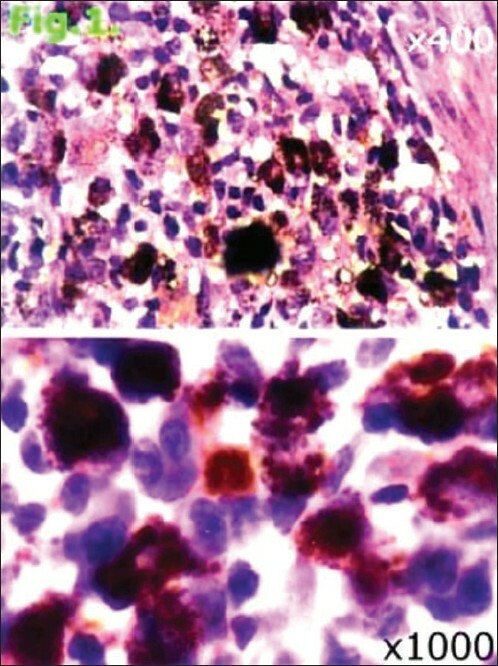 Background: Retiform hemangioendothelioma (RH) is an extremely rare and distinct variant of low-grade, well-differentiated cutaneous angiosarcoma seen in young adults and is characterized by a high recurrence rate, but low metastatic potential. To the best of our knowledge, this is the first report of the congenital RH. 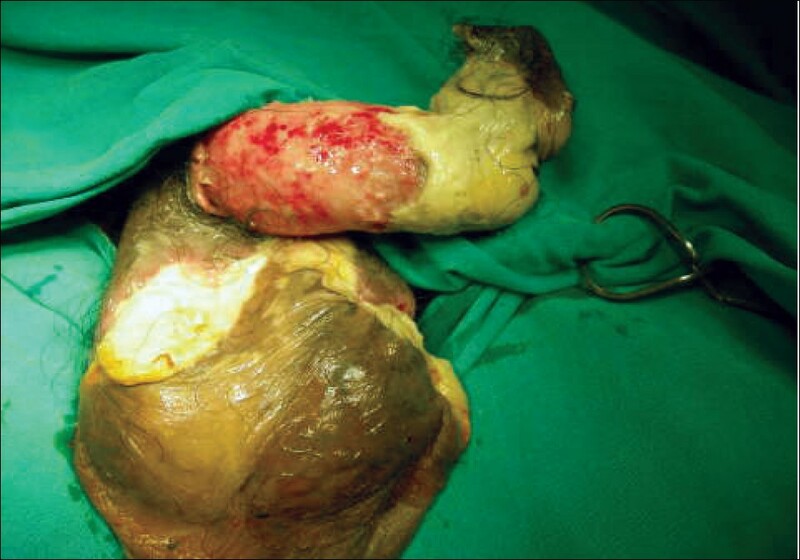 The lesion was treated by wide surgical resection. Biopsy revealed RH. We herein describe a congenital case of this rare vascular tumor, arising on the left foot, which was diagnosed when the patient was 21 years old. Results and Conclusions: There was no recurrence or lymph node metastasis during a follow-up period of 6 months. The authors expand the concept of RH by adding a congenital case.